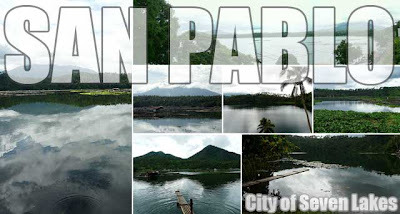 San Pablo, Laguna is known as the City of Seven Lakes. So if you're planning to visit, make sure to check out its seven lakes! Here's another fun day trip if you're looking for a change of scenery. We tried our best to make it to San Pablo by 7 a.m. and it's a good thing traffic cooperated since the trip usually takes two hours. After a quick breakfast, we were off to our first lake, Lake Bunot in Barangay Concepcion. The fishermen were up early maintaining their many fishpens. Looks like they were feeding the tilapia or whatever fish they had there. After a few photos, we made our way to the next lake. Lake Calibato in Barangay Sto. Angel is down the road near the town of Rizal. Part of the lake actually touches the boundaries of the town. There's a short hike down to the lake. It's one of the lakes I saw during a previous trip and it's one of my favorites. Just be careful since it becomes a bit slippery when it rains. And sad to say, I was a casualty. Since there are still no directional signs (I hear they're working on it), you could easily miss the jump-off point for this lake. Coming from the city proper, it's after KM 90. Just watch out for a kubo and make sure you ask around for directions. After this lake, you drive back towards the direction of the city proper to the jump-off point for the next two lakes in Barangay San Lorenzo. 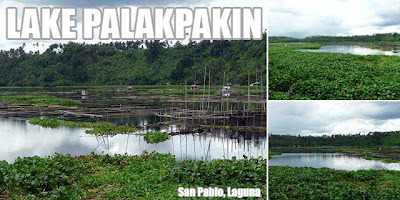 Lake Pandin and Lake Yambo also touch the boundaries of Rizal and Nagcarlan. It's a one kilometer trek from the jump-off point to get to Lake Pandin which is one of the lakes popular for swimming. 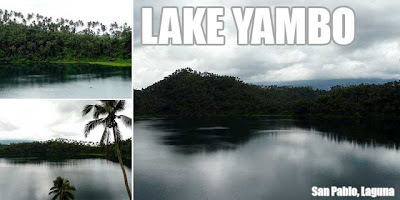 When we got there, the locals offered to take us to Lake Yambo by balsa for PHP180 each. But since we found it pricey (I'm sure you could negotiate but we wanted to exercise), we decided to walk instead. It's an upward trek, a little over one kilometer if my estimates are right, to get to Yambo. Sad though that the sun was hiding behind clouds by the time we got to the vantage point for the lake because the lake was so picturesque! We made sure to take a dip back in Lake Pandin before trekking back to our vehicle. The water was cool and relaxing, perfect after stretching those muscles. From there, we drove to Lake Palakpakin in Barangay San Buenaventura. The best place to view this lake filled with water lilies is from the bridge between Barangay San Lorenzo and San Buenaventura. 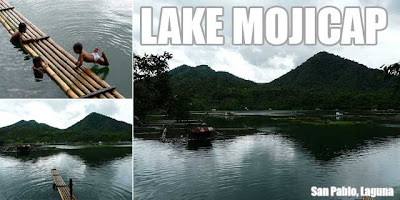 Lake number six was Lake Mojicap (or Mohikap) in Barangay Sta. Catalina, another picturesque lake. Again, since there are no directional signs, getting there is tricky and you'll really need to ask directions every now and then. 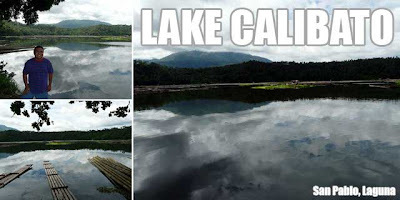 The lake touches the boundary of the town of Calauan. It was very clean and there were some kids swimming so I guess this is another lake where you can opt to take a dip. 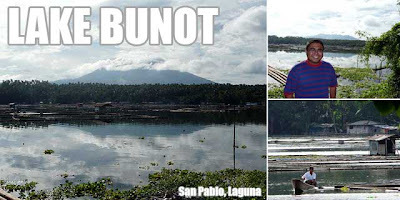 For our final lake, we proceeded back to the city proper to visit Lake Sampaloc. At 104 hectares, it's the largest of the lakes. there's a view deck as well as a lakeside walk way making it a favorite hang-out of the city. With that complete, it was time for a really late lunch. And where best to celebrate but in Kusina Salud! I'll tell you about it in another post! I just read the entry. The Heritage Conservation Society is an advocacy group focused on the preservation of our architectural heritage. It would be best to report this incident to the NCCA, the government agency in-charge of culture and the arts. I´m from San Pablo, Nice to see your nice blog and photos, makes me home sick tuloy when I saw those pics. Congrats to your superb photos .Keep it up! Hi Ivan! 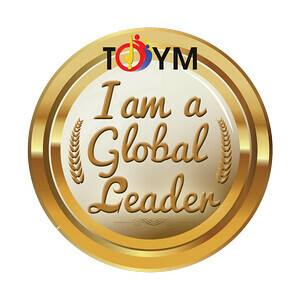 I am a Korean living in Los Banos. I've been impressed by your posts especially regarding this cozy restaurant. I would be a fan of your blog. When I visited this restaurant the scent and taste of the Philippine coffee served were the best one that I never taken in Philippine. Thanks for dropping by! Hope you're having fun in the Philippines! heya ivan, pare ive always found your site very informative. anyhoo fellow atenean here, same batch, different section :D ive been to san pablo several times, mostly on errands, and ive never really gone of to any of the seven lakes. anyway, how do i get to the lakes? is there like a tourist office or just simply ask around? Hi Mark, just ask around. The jeep and tricycle drivers, and most of the local would know how to get to the different lakes. Thanks for dropping by! 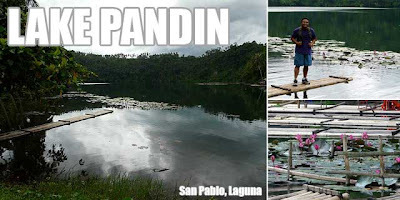 Thanks Ivan for Posting the Seven Lakes of San Pablo.Completed all Seven yesterday using your post as guide. It was great fun. Great to hear you enjoyed the trip! Taga-San Pablo ako, ngayon narito na sa Hawaii since 2000. I haven't seen Sampaloc Lake for YEARS and it's still pretty well maintained! Gusto ko na tuloy umuwi! Hehehe! I think I've only seen 3 out of the 7.
well actually, i've been to san pablo but i brought my own car along with me... pero this time i have to go via commute. thanks for the guide bro. ang galing! 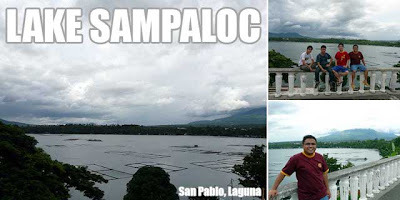 Hi Ivan,i'm planning to visit San Pablo this June, I'm looking for accomodation close to Sampaloc lake, any recommendation? I'm proud to be a 7 Lakers native! How much is the budget to tour around the 7 lakes?